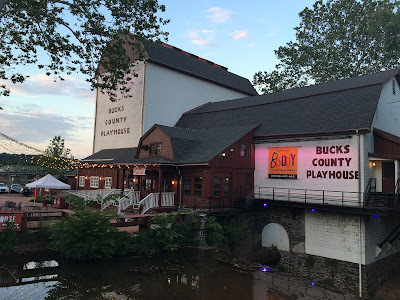 New York City Stage: I Detoured for "Bursting with Song"
I Detoured for "Bursting with Song"
I recently visited Bucks Country for a weekend getaway. Being a theater lover, one would naturally assume that experiencing a production at the famous Bucks County Playhouse was at the top of my list. However, the current production at the time did not interest me. 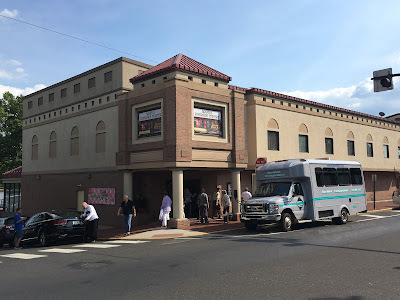 What interested me however was a small concert production around 30 minutes south in the PA town of Bristol at the Bristol Riverside Theatre - Bursting with Song - a celebration of Broadway tunes performed by African-American performers. I loved the performers and was glad that they treated the audience to classics as well as modern tunes such as medley from Broadway's hottest show at the moment - Hamilton. Well worth the detour to a theater that I knew nothing about before my Bucks County trip. Loungin' at the Waldorf by Thomas "Fats" Waller and Richard Maltby, Jr.